This year's festival takes place from August 2-4 and features Helena Hauff, Marie Davidson and Wata Igarashi. One of Germany’s—and Europe’s—greatest festivals is coming to an end. 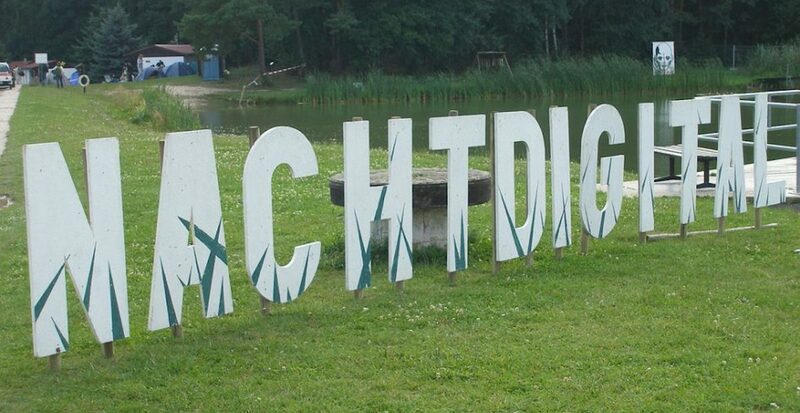 Nachtdigital has announced that the 2019 edition of the festival, dubbed Nachtdigital Mint, will be its last. Festival organisers cited a “desire for change” as the reason to bring the beloved event—which has been running in the east German region of Olganitz since 1997—to an end. Across its 22 years of operation, Nachtdigital developed from an impromptu one-day rave to a full three-day festival featuring over 60 artists a year. The final edition will be housed on five different stages, all tucked around the beautiful lake at Bungalowdorf Olganitz. The 2019 festival will host Helena Hauff, Atom TM & Tobias, Marie Davidson, Wata Igarashi, Dasha Rush, Nina and many more from August 2 to 4. Find the full lineup and ticketing information at the festival website here. Below, watch a 70-minute documentary on the history of the festival, Escape to Olganitz.